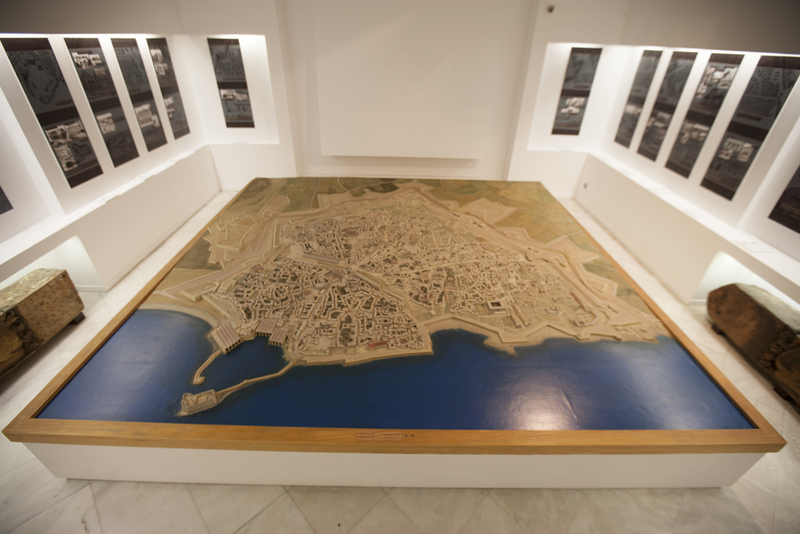 Gain an understanding of Cretan history through exhibits spanning from the Byzantine era to World War II at Ιστορικό Μουσείο Κρήτης - Historical Museum of Crete. 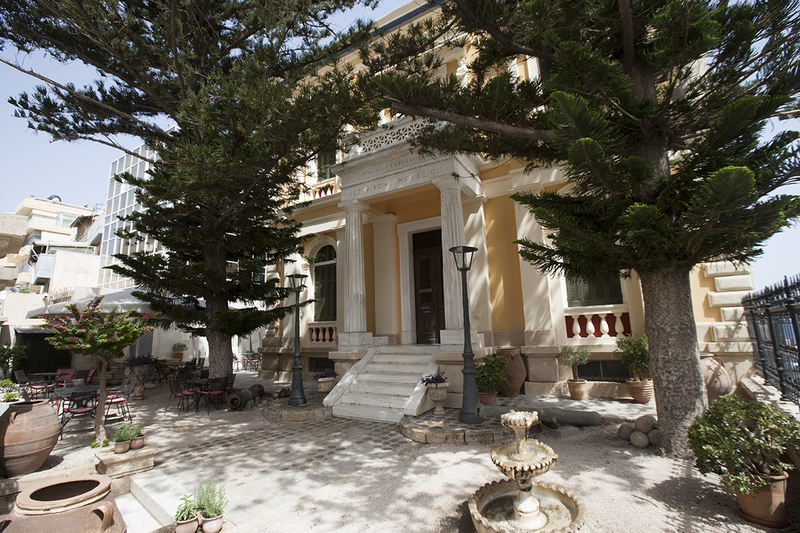 Founded in 1953 in a neoclassical building formerly known as the House of Kalokerinos, the museum showcases the Nikos Kazantzakis collection, featuring the study and library from the author's home in Antibes, France, manuscripts of his works, and first editions of his books in various languages. Two of the finest exhibits are the only paintings by El Greco in Crete: The Baptism of Christ (1567) and View of Mt. Sinai and the monastery of St. Catherine 1570). Ceramics, sculptures, coins, jewelry, and a wide range of heirlooms highlight the everyday life on Crete during various historical periods. Rent an audio guide for more information about each exhibit and take a break with a sea view at the cafe deck. 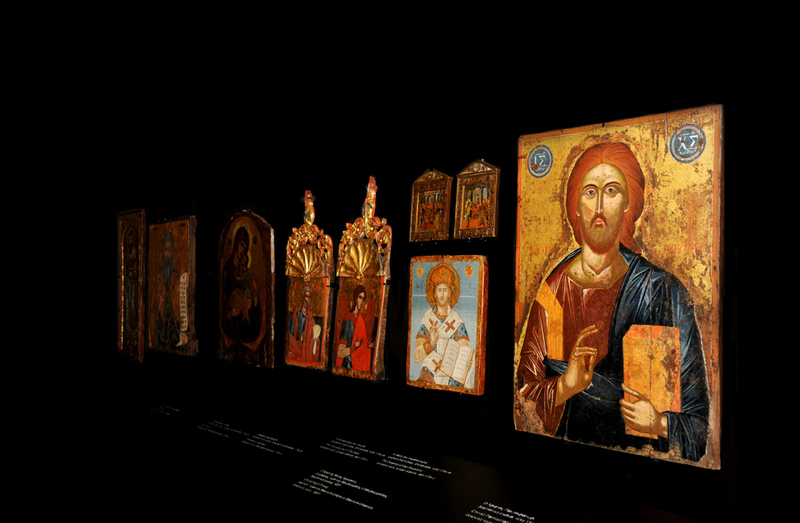 For Ιστορικό Μουσείο Κρήτης - Historical Museum of Crete and beyond, use our Heraklion visit planner to get the most from your Heraklion vacation. Although I had very little time on my hands, because I had not noticed the Museum's hours and nobody informed me when I paid the ticket, I managed even communicated to see most exhibits. It has a rich collection of various periods of Crete. Certainly needs 2 hours to see all the exhibits and should definitely visit someone who wants to see the history of Crete. Museum in lovely grand building near the port. Informative about Crete's history including the German occupation. Two very small El Grecos. Good for insight into a very historic region. The icon collection on current display compares with world best. Very important artifacts, nicely exhibited. Don't miss it! Lovely for kids, too. I'll start by saying that the museum itself is well worth a visit if you're interested in the history of Crete in general. It has some very strong artefacts and is laid out in a very intuitive and modern manner. Staff are friendly and it's easy to access. HOWEVER; it is definitely not as good as it could be hence my lower rating. - Artefacts, while interesting and well appointed, seem a little thin on the ground...in places, modern statuette artwork takes up a large amount of room. Some may like this of course, but personally do not as it breaks the immersion of the experience as a whole, especially in the quantity seen here. I know this may be unavoidable though due to lack of funds or material. - Information boards and models are very strong and make clear the history of Crete, especially Heraklion; the layout and map serve their purpose well. - The building itself is gorgeous and lovingly maintained (a large 18th Century town house, I believe, though there was nothing about it inside, sadly) and worth a visit for itself. - I can appreciate the use of modern artwork in a museum, even in this case where it gets its own room. But artwork which features the portrayal of ancient Minoan kings as tyrants and the way of life as borderline barbaric? Sorry, but no. - Don't visit if you're interested in ancient history and less so Medieval onwards; this is not the place for that. I don't count this as a negative point at all, but it is definitely to be considered prior to visiting. Overall, a good experience which I personally found exceeded the Archaeology museum in some respects and strongly recommend to anyone interested in history. It's definitely nothing special though, which is a shame as the groundwork is definitely here for something which could easily rival the Archaeology Museum in terms of tourist potential. I loved this museum .It had some amazing artefacts from coins 350bc to photos & guns from the second world war.From the building outside I never imagined how much there would be inside. Every day, we help thousands of travelers plan great vacations. Here are some tips on how to use your Listing Page to attract more travelers to your business - Ιστορικό Μουσείο Κρήτης - Historical Museum of Crete. Promote your permanent link - https://www.inspirock.com/greece/heraklion/-historical-museum-of-crete-a29240575 - on your website, your blog, and social media. When a traveler builds a plan from this page, the itinerary automatically includes Ιστορικό Μουσείο Κρήτης - Historical Museum of Crete. This is a great way for travelers looking for a great vacation in your city or country to also experience Ιστορικό Μουσείο Κρήτης - Historical Museum of Crete. Promoting your link also lets your audience know that you are featured on a rapidly growing travel site. In addition, the more this page is used, the more we will promote Ιστορικό Μουσείο Κρήτης - Historical Museum of Crete to other Inspirock users. For best results, use the customized Trip Planning Widget for Ιστορικό Μουσείο Κρήτης - Historical Museum of Crete on your website. It has all the advantages mentioned above, plus users to your site can conveniently access it directly on your site. Visitors to your site will appreciate you offering them help with planning their vacation. Setting this up takes just a few minutes - Click here for instructions.